ARe you looking for something to do this weekend? Do you love Comics and Voodoo Doughnuts? Feel like a road trip? THEN… come up to Portland for the Rose City Comic Con! 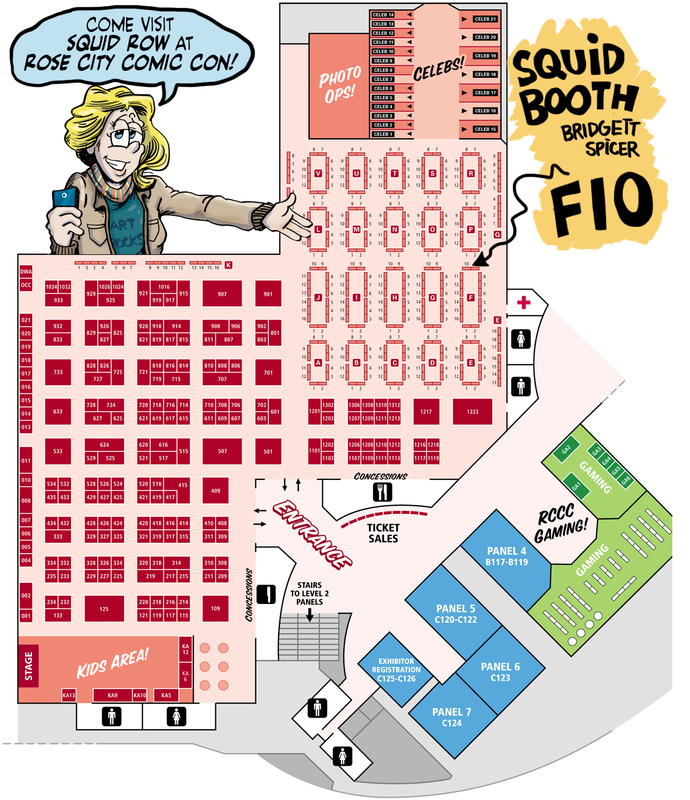 Yes, friends, Squid Row will be boothing at F-10 in Artists Alley (under the name ‘Bridgett Spicer’)… and I’ll be sharing the table with friend of the show, Gulls Comic! Oh, what fun we shall have! So drop in and see what crazy nonsense goes on there! Is Portland too far for you? Then how about San Francisco? The Alternative Press Expo will be at a new location this year… and Gulls will be kicking it with yours truly! AND I will be doing a workshop with Betsy Streeter (Fun Betsy) on Sunday of APE. Don’t Miss this! ps… please keep voting over at TGTmedia! Let us achieve Squid Glory! Voting goes through Friday! Let’s win this thing!